During the 1720s, Pequannock was known as "Poquanick". At that time, it was a part of Hunterdon County. It derived its name from an Algonquian term meaning "small farm." Pequannock Township is a subdivided political entity of the State of New Jersey and includes two communities, Pequannock and Pompton Plains. Both towns are served by their individual Post Offices. The Township is primarily residential with a population of approximately 14,506 residents. 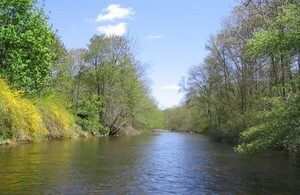 Pequannock and Pompton Plains covers a land area of roughly seven square miles. Recorded history of the Township dates to 1695 when the area was originally settled. The Township of Pequannock was incorporated in 1740, making it older than our nation itself. Community growth was greatest during the 1950's during which time the population more than doubled. 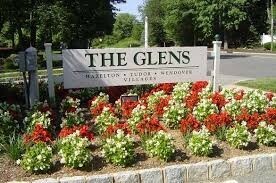 During the early 1990's a Planned Residential Development known as "The Glens" was constructed adding 583 town houses, coach homes and condominium apartments to the housing stock of the Township. Within the past ten years, Cedar Crest, a 1,500 unit Continuing Care Retirement Community has also contributed to our recent population. The residents of this facility have become an active and integral part of Pequannock Township. Listing courtesy of Weichert Realtors, Mountain Lakes. Listing courtesy of Century 21 Crest Real Estate. Listing courtesy of Weichert Realtors, Pompton Plains.